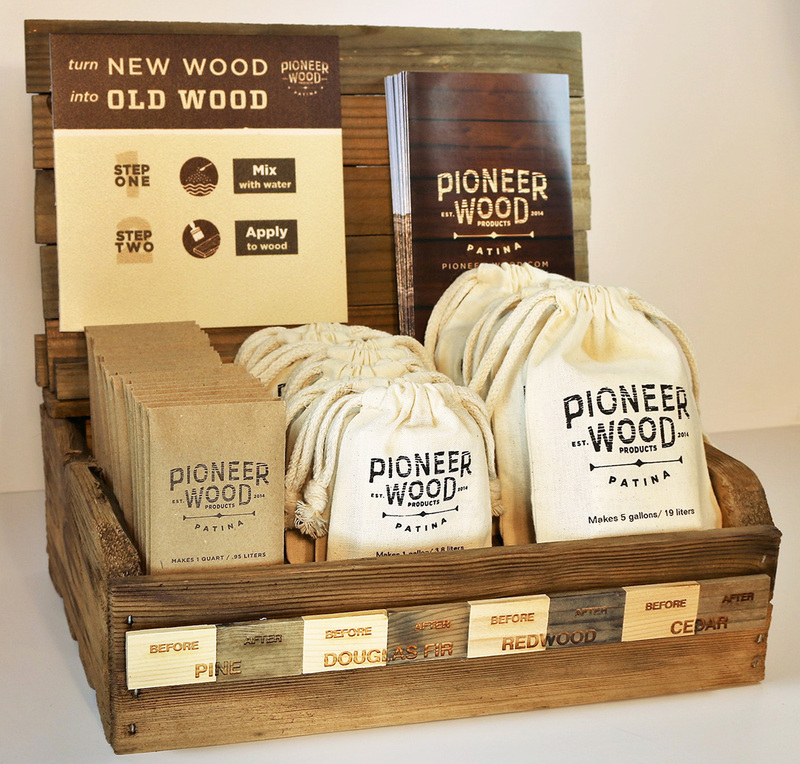 GIVES ANY WOOD THAT "BARN WOOD LOOK"
Pioneer Wood Patina is a safe, water based powder concentrate. When applied to new wood this product gives the surface a "barn wood" patina. Gives any home project, interior or exterior, that warm, rustic, barn wood look. Perfect for contractors and DIY projects such as siding, decking and hand rails, interior accent walls and furniture. Then for lasting protection and a rich finished look, use our Heritage Natural Oil Finishes over the top! Contact us for the MSDS. Pioneer Wood Patina is a do- it- yourself powder treatment. When applied to new wood gives a brown/ grey appearance. It is sold in 1 quart, 1 gallon and 5 gallon concentrated powder. Simply dissolve the concentrate into water and apply with a brush, roller or sprayer to give your new wood a brown/ grey patina. A non-toxic and environmentally friendly product. Clean up is easy with just soap and water. 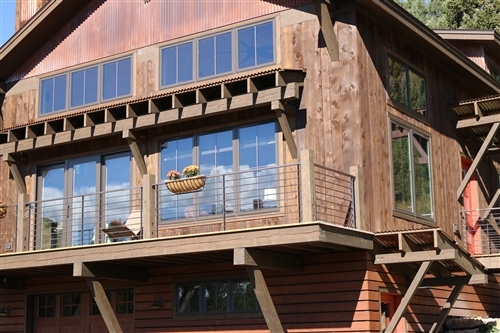 Pioneer Wood Patina has been providing aged wood products and water soluble powder concentrate for over seventeen years. It can be applied to all types of wood products from flooring and siding to interior trim packages and ceiling boards. The patina works on all wood species. Most woods will mature into a medium brown/ grey color however, some species will need a little help from sunshine and rain. Ponderosa pine and Lodge Pole pine are the two species which we are currently aware of. Pine wood species does not work well inside, however, it works very well if left in the sun and rain for a few weeks. Turns new wood to look like grey/old wood. Just add water, mix, apply and dry. Then oil over the top once dry. Covers 37-50 sq. ft. Turns new wood to look like grey/old wood. Mix with 1 gallon of water, stir or shake, apply, and dry! Then oil over the top once dry. Covers 150-200 sq. ft. Ships via USPS for $3.50 First Class. Turns new wood to look like grey/old wood. Mix with 5 gallons of water, stir or shake, apply, and dry! Then oil over the top once dry. Covers 750-1000 sq. ft.
* photos and product information supplied by the manufacturer, Pioneer Wood Patina.